In teaspoon of canola oil, fry a pack of ramen noodles until golden brown on both sides. Cook remainder of noodles for three minutes until soft but chewy. Remove from stove and rinse and drain. In a large bowl, mix together the cabbage, snow peas, carrot, onions and chicken, and add salad dressing. 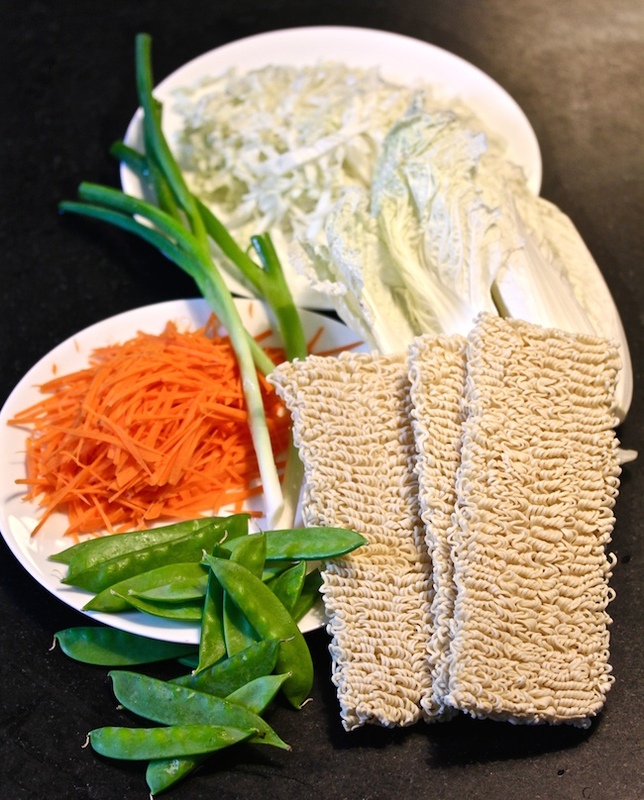 Add cooled noodles to the mixture, and crumble crisped noodles that had been fried into oil, and mix thoroughly. Refrigerate for several hours to allow salad to cool completely. 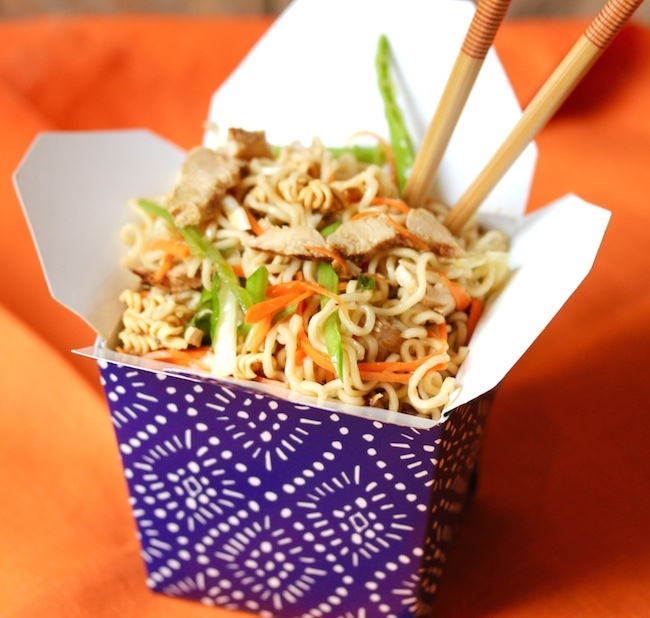 The combination of the fried and the soft noodles gives the salad a nice crunchy texture.